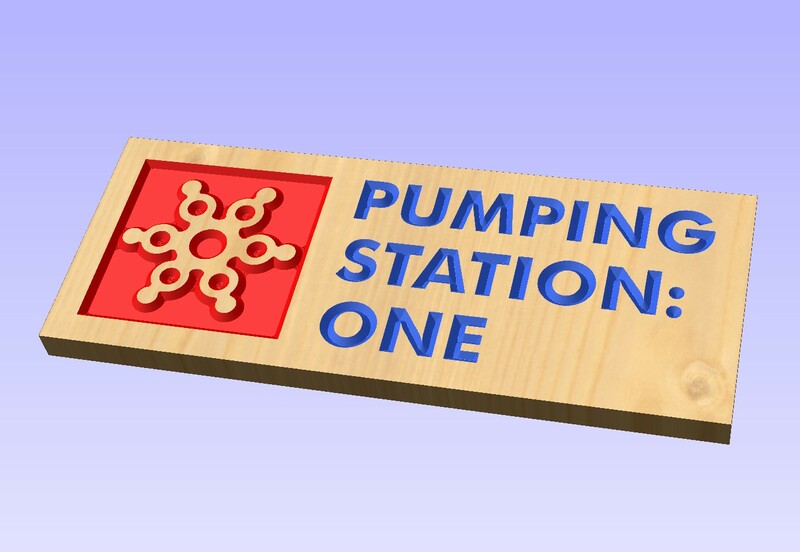 In a couple weeks we are going to do a CNC V Carving night at Pumping Station One. 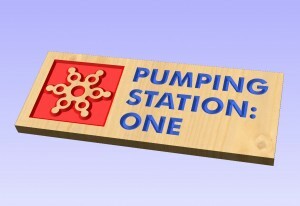 We hope to fabricate a number of designs on the CNC router. This blog post will serve as a basic introduction to the concept and will help people get artwork ready. What Can V Carving Do? 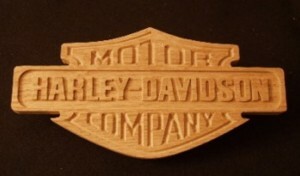 V Carving uses a V shaped bit to to “carve” a design into the material. Because the bit has a v shape, you can cut narrow shapes with the tip or wider shapes near the bottom. You can even cut shapes wider than the widest part of the bit by doing multiple passes of the bit. The depth of the cut is proportional to width of the cut, so you need to make sure your material is thick enough. If you have very wide areas, you can set a depth limit and you can make that area have a flat bottom with a second flat bit. Normally routers cannot cut square inside corners because you are cutting with a round bit. V Carving can get around this limitation because the bit can rise up into the corners until it gets to the zero radius tip. V Carvings can look great simply cut in the natural material, but they can really pop when you put a contrasting finish in the carved areas. This is a time consuming process and can be difficult to do well. You can often shortcut this process by using masking materials. You start by applying a background finish to the work piece. This is then masked with tape or specialized masking material. The router then cuts through that as it is cutting the design. Now, only the cut area is exposed and you can simply spray paint the exposed area. If the design has multiple colors you can cut one color, paint, remask and repeat the process. The files should in in DXf, DWG, AI, EPS or PDF format. Many programs like InkScape and CorelDRAW can output these formats. If you have hi resolution bitmap, some of these programs can convert to a vector format. Feel free to try that, but help with that will be beyond the scope of the session. The quality of the masking material comes into play with very fine details. If your design will leave tiny isolated dots of masking, some materials may not stick well enough and break free during cutting. If that happens, you can manually touch up those areas later. I like to use Avery Paint Mask, but plain masking tape, adhesive shelving paper and materials for vinyl cutters also work. Avoid very thin lines lines. The material needs to be needs to be perfectly flat and consistently thick for this. Very large areas to cut will take a long time, so avoid them for this session. Multiple colors. Multiple colors is OK, be each color needs to be separated from the other color so there is masked uncut area between them. This logo would work. The red would be the base material and all other colors would be cut and colored. This one would be very hard to do because of the adjacent colors. How to bring the artwork to the session. To save time, the artwork should be as ready to import as possible. Problem artworks will be pushed to the back of the queue and might not get cut. The artwork needs to be in a digital, vector format. By digital I mean you can sent the file electronically. 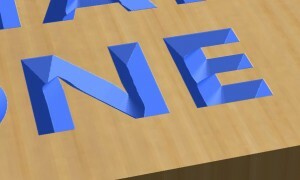 Vector files are created with actual geometry. 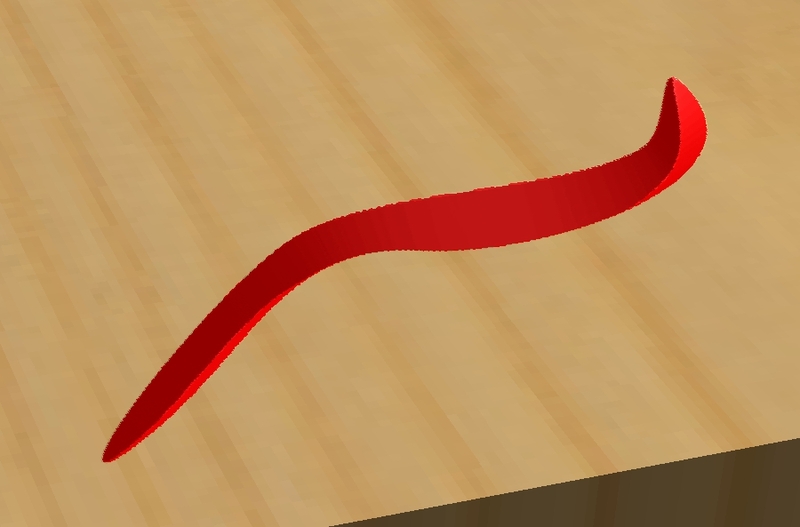 Lines are lines and not a string of pixels. Scans and photographs are not usable. If you zoom in and the image gets pixelated, it is not ready to use. The shapes also need to be closed. If you have a square, for example, all the corners need to meet or the software cannot determine inside from outside. Tiny gaps can be closed in the CAM software, but if you can see them, close them. Try not to be too complex or have large cut areas. These will take a long time and will limit how many people we can accommodate in one session. We can still create G-Code, but you many need to cut it at a later date. If there is time I my cut small PS:One snowflakes for the people who did not bring any artwork. The idea material is a smooth, pre-finished piece of wood. It needs to be as least as deep as 1/2 the width of your widest feature if you are not planning a flat bottom. The material should be as flat and consistently thick as possible or the results can be distorted, because the depth of the cut is so critical. Avoid oily or wet finishes because the mask material may not stick well. Plywood does not look well and often interior layers have voids. Instead of masking, a much simpler method is to V carve the image.050″ deeper than desired, spray paint the unmasked engraving (mask the sides of the board if overspray might be a problem on the edges), allow the paint to dry, and run the entire piece through a surface planer to remove the top .050″ of material along with the overspray. Hobby woodworking surface planers (aka “thickness planers”) will typically accommodate wood up to 12″ wide. By removing the top surface, you’ll also have a nice surface finish with no chipping or burrs along the sides of the V bit cut. You could also use a large drum sander for board widths up to 18″ in one pass and 36″ in two passes. Performax is one name brand. I have used that method as well for some projects. The masking method works best when you are finishing the base material first. Adding the finish first makes it easier to apply without impacting the finish of the cut area. 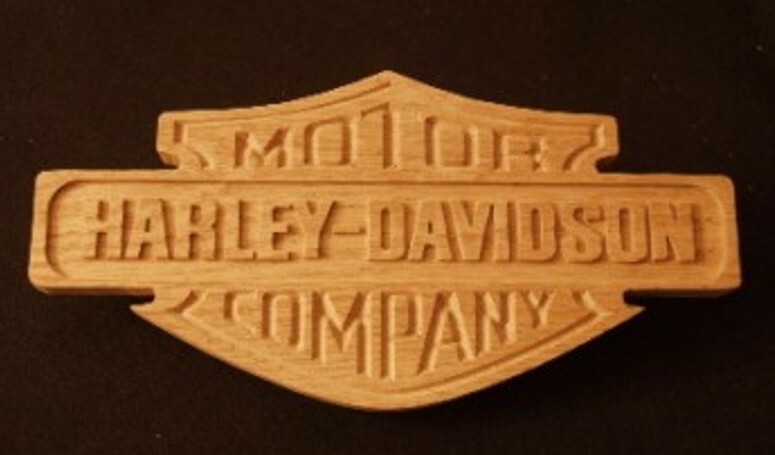 Many finishes can actually improve the cutting quality of the wood . Some finishes like thick acrylic water based varnishes may not cut cleanly or require extra cleanup later. They might be better applied later, but it can be a long and tedious process. 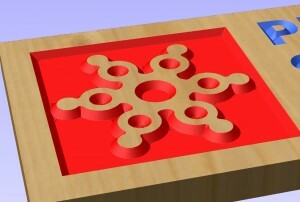 This entry is filed under Art, CAM, Digital Fabrication, Software . You can follow any responses to this entry through RSS 2.0 . You can leave a response, or trackback from your own site.